Technology - Last year, Asus unveiled a smart watches called Asus Zenwatch which is the first wearable device made by Asus, which is equipped with a curved screen and can be paired with all sorts of Android smartphones with OS 4.3 or higher. Asus Zenwatch has a 1.63 inch screen with 512 MB RAM and 4GB of internal storage, powered by Qualcomm Snapdragon 400 1.2GHz processor. Well, at the end of April 2015 ago, Asus has launched its latest smart watches the successor of the Asus Zenwatch called Vivowatch. Smartwatch is intentionally designed with a classic design and 1:28 inch black and white screen with a resolution of 128x128 pixels. Such as smart watches in general, smartwatch is equipped with monitoring equipment health of the wearer during activities throughout the day. Vivowatch operate using koodos operating system developed directly by Asus. The advantages of this smart watches that have a capacity of 123 mAh battery with a battery life of up to 10 days in a one-time charge only. So, you don't have to charge it everyday. This Vivowatch smartwhatch will be sold in Taiwan on May 8, 2015 at a price of USD $ 149. 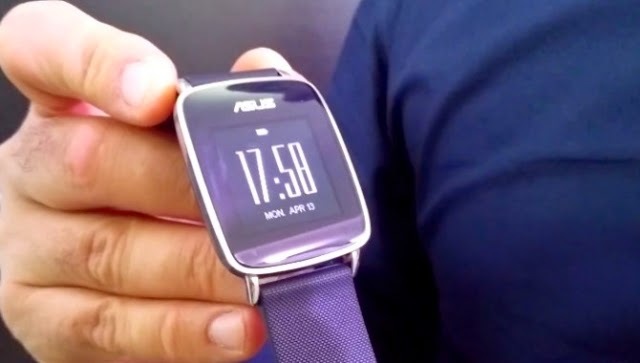 Asus reportedly also will introduce this smartwatch worldwide. Asus Vivowatch uses STMicroelectronics processor and also has some standard features are Bluetooth 4.0, accelerometer, heart rate monitors, micro USB 2.0, and already has a certificate IP67 which means complete and total protection against dust, direct contact, even the use of 1 meter under water. No Comment to " Asus Introduces Cheap SmartWatch: Vivowatch "